Cats Exclusive Veterinary Center in Shoreline is holding its annual pet food drive from now through December 22, 2018. During this season of giving please include on your list those pets in need. The Seattle Area Feline Rescue is a local non-profit shelter, located in Shoreline, helping homeless cats and kittens find new homes. 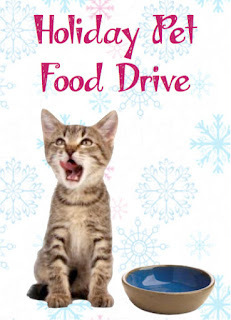 Bring in cat food of any kind and help fill the collection barrel located in the lobby of Cats Exclusive. For each pound donated now through December 22nd, Cats Exclusive will match your donation, pound for pound.